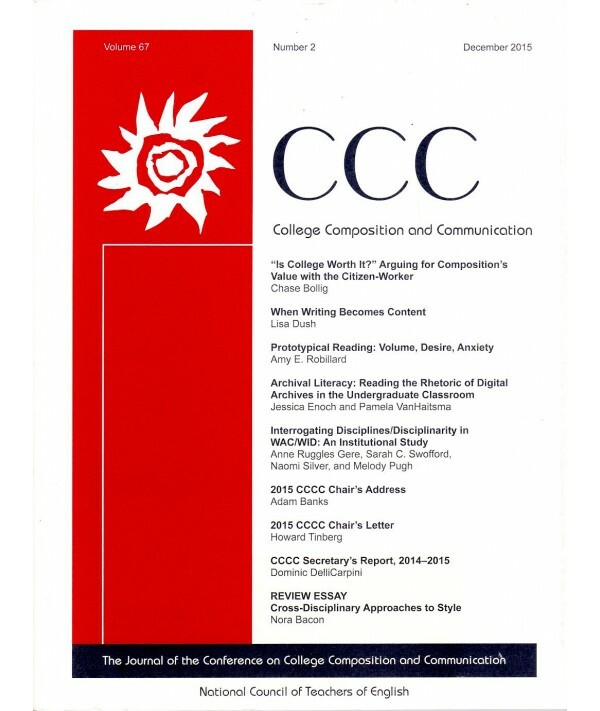 College Composition and Communication - Philippine distributor of magazines, books, journals, etc. College Composition and Communication publishes research and scholarship in rhetoric and composition studies that supports college teachers in reflecting on and improving their practices in teaching writing and that reflects the most current scholarship and theory in the field. The field of composition studies draws on research and theories from a broad range of humanistic disciplines—English studies, rhetoric, cultural studies, gay studies, gender studies, critical theory, education, technology studies, race studies, communication, philosophy of language, anthropology, sociology, and others—and from within composition and rhetoric studies, where a number of subfields have also developed, such as technical communication, computers and composition, writing across the curriculum, research practices, and the history of these fields.